BERLIN -- Owners of older diesel cars in polluted German cities should be able to choose between trade-in incentives and a hardware upgrade for their vehicles, German coalition parties agreed, but the car industry swiftly raised objections. After marathon talks, Chancellor Angela Merkel and leaders of her coalition partners announced in the early hours of Tuesday that they had agreed on a way to cut pollution in the worst affected cities while avoiding unpopular driving bans. In their initial responses, automakers appeared to favor encouraging car owners to trade in their older diesel models for cleaner vehicles rather than carry out costly adjustments known as retrofits. Volkswagen had agreed to help with hardware retrofits, but some details still need to be discussed while BMW has refused such retrofits, German Transport Minister Andreas Scheuer said on Tuesday. Daimler, the maker of Mercedes cars, has said it could consider hardware retrofits but would concentrate on trade-in incentives of up to 5,000 euros ($5,755), Scheuer told a news conference. "We are talking about a significant billion (euro) contribution that German carmakers will bring for these models," said Scheuer. Volkswagen's admission in 2015 that it cheated U.S. diesel emissions tests led to the discovery that diesel vehicles from several manufacturers routinely exceeded pollution limits in normal driving conditions, prompting a regulatory crackdown. "We are creating the framework to avoid driving bans, but we expect the car industry to offer possible retrofits and trade-ins," German Environment Minister Svenja Schulze said. "My impression is that the car industry has a big interest in restoring the image of diesel." Environmental group Greenpeace said the German government had failed to provide a solution for the diesel crisis and accused the industry of exploiting the situation. "The carmakers are trying to turn their cheating on emissions into a sales bonanza for new cars - a strategy that will continue to damage the climate and waste resources," it said. The proposals apply to diesel vehicles meeting the older Euro 4 and Euro 5 emissions standards. The current standard is Euro 6. France's Renault said earlier on Tuesday it was offering owners of older diesel vehicles in Germany incentives of up to 10,000 euros to trade in their cars for newer ones. "We are obviously headed for the end of diesel," Renault Nissan CEO Carlos Ghosn told reporters at the Paris auto show where electric cars are in the spotlight. "It’s the end of the game," he said. 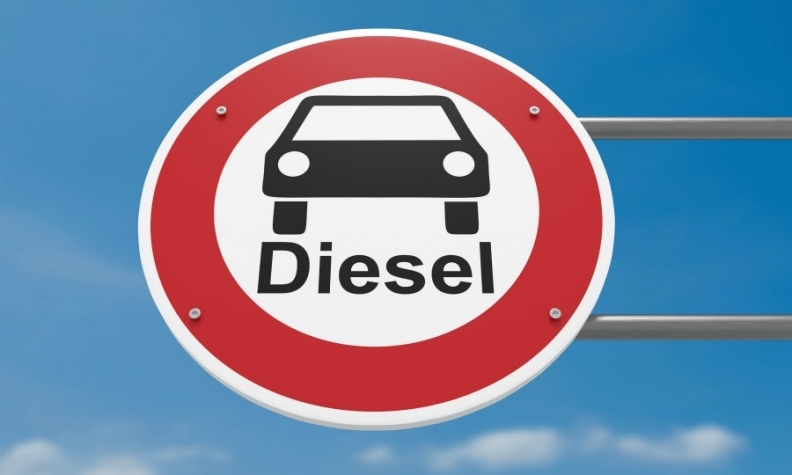 There are 3.1 million diesel cars running to the Euro 4 standard, and 5.7 million Euro 5 diesels, out of a total of 46.5 million cars on the roads in Germany, according to figures from the German KBA transport authority. Automakers have said they expect only a small proportion of owners of the affected vehicles to opt for a retrofit rather than a trade-in. PSA Group's Opel unit rejected hardware retrofits, arguing they were economically not sensible and the technology not fully developed. The German courts have paved the way for city driving bans to tackle levels of NOx emissions that exceed European safety levels. The city of Hamburg banned older diesels from two of its roads in May, and a ban in Frankfurt, the financial capital, is due to take effect next February.